Operation New Dawn? Where have we heard that name before? You are at:Home»Afghanistan»Operation New Dawn? Where have we heard that name before? The transition was announced in February, and takes effect as U.S. officials seek to highlight the improvements in Iraq. President Barack Obama is expected to address the nation tonight at 8 p.m., and will no doubt reference the new name as he seeks to reassure Americans that the U.S. has turned a page in the war in Iraq. As Operation New Dawn comes to the forefront, however, there’s a catch: Another Operation New Dawn began unfolding June 15 in southern Afghanistan. 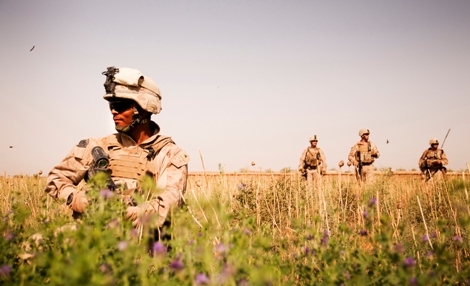 It involves Marines, who have sought out the Taliban in regions between violent Marjah district and Nawa, a district of about 89,000 people to Marjah’s east. I’m seeking additional details on how Operation New Dawn in Afghanistan has progressed, but in the meantime, it’s worth pointing out that the Marines chose New Dawn as a name for a significant operation despite already knowing that the mission in Iraq would take on the same name tomorrow. If the operation in Afghanistan is still ongoing, perhaps they’ll consider giving it a new, tougher name like “Cobra’s Anger.” That is, after all, a military classic. i seriously like Chaos Rising a lot! Great weblog! I definitely love how it is straightforward on my eyes and in addition the small print are properly written. I am questioning how I could also be notified at any time when a new put up has been made. I have subscribed to your rss feed which should do the trick! Have a nice day! Great summary, bookmarked your blog for interest to read more! Es de agradecer este posteo es de los unicos que he visto en google que me parece informativo.